who died 2nd March 1926. Aged 52 years. 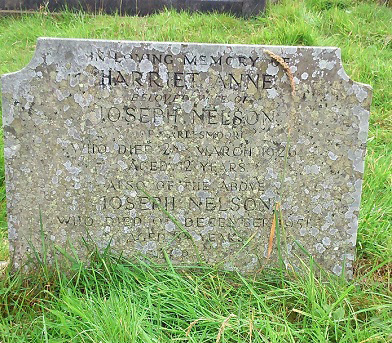 Also of the above Joseph Nelson who died 9th December 1951. Aged 84 years. At rest.